Warren itemizes contributions from several Oklahoma DAR chapters. 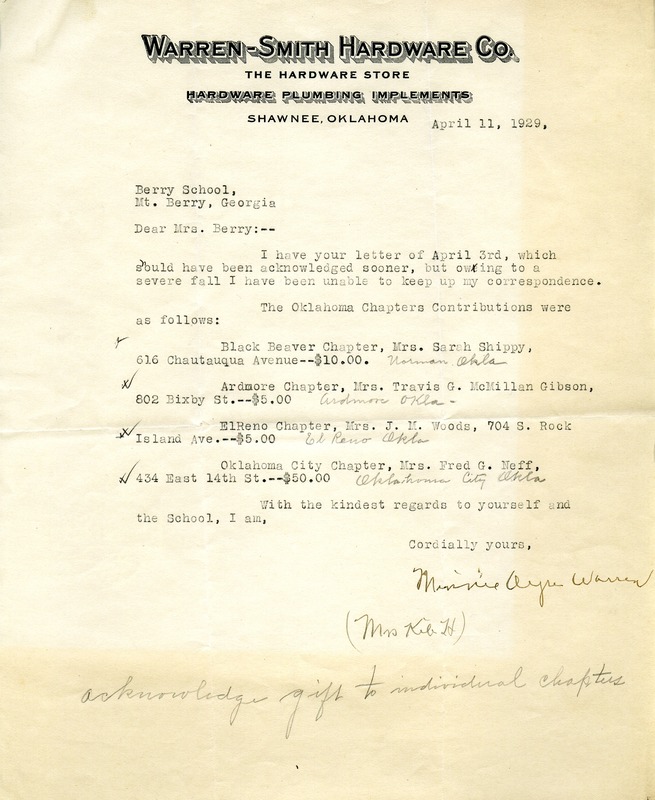 Minnie Ayre Warren, “Letter from Minnie Ayre Warren to Martha Berry.” Martha Berry Digital Archive. Eds. Schlitz, Stephanie A., Sherre Harrington, et al. Mount Berry: Berry College, 2012. accessed April 26, 2019, https://mbda.berry.edu/items/show/10004.